This entry was written by Curtis & Ross, posted on 04/06/2013 at 4:51 pm, filed under April 2013 category. 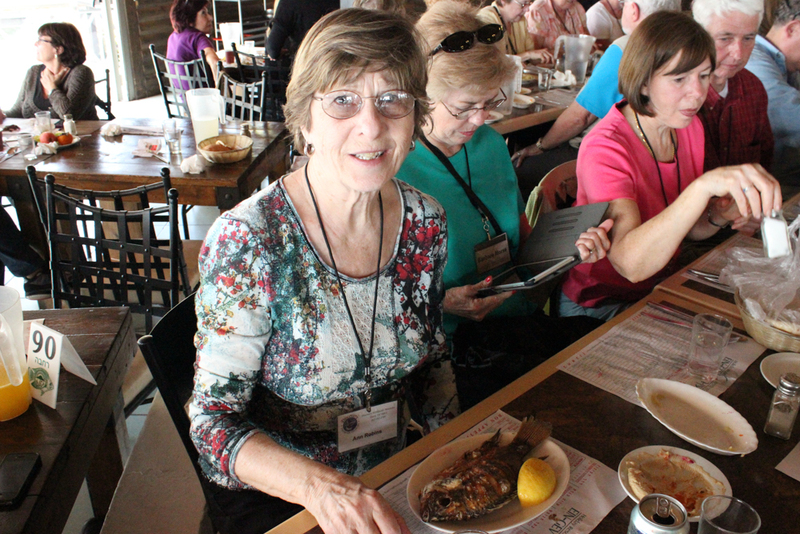 We meet our friends at breakfast. 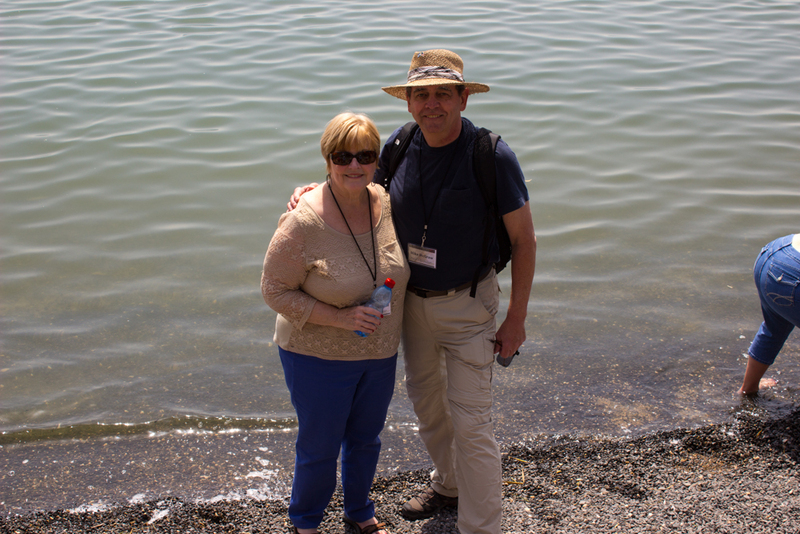 Mark and Terrie, our tour leaders, keep the groups small so it’s easier to get to know those you are traveling with. 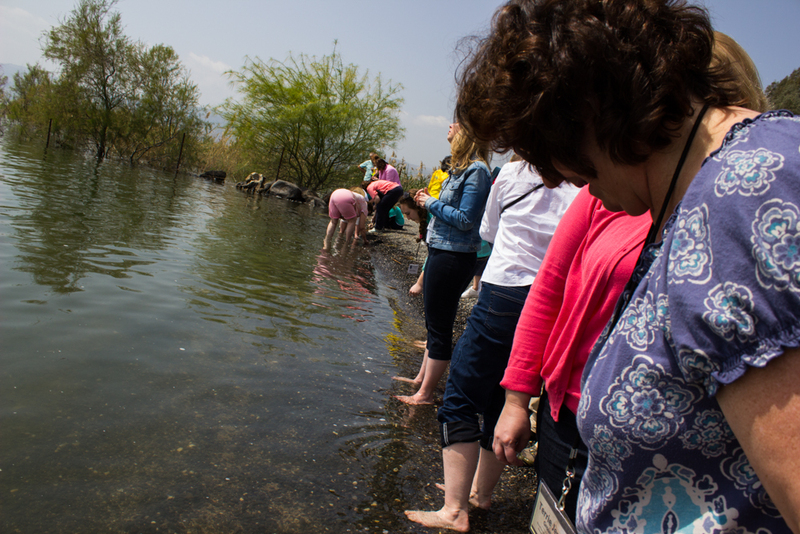 At this point on the trip, we are becoming friends with a shared spiritual experience of walking in the footsteps of Jesus in the land of the bible. Mark & Terrie have arranged a private cruise for us today. 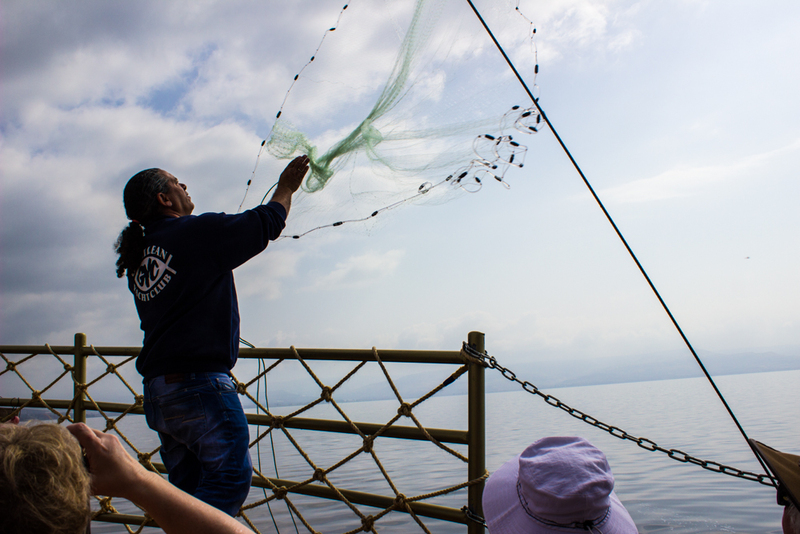 We are introduced to Daniel Carmel, our boat captain extraordinaire. 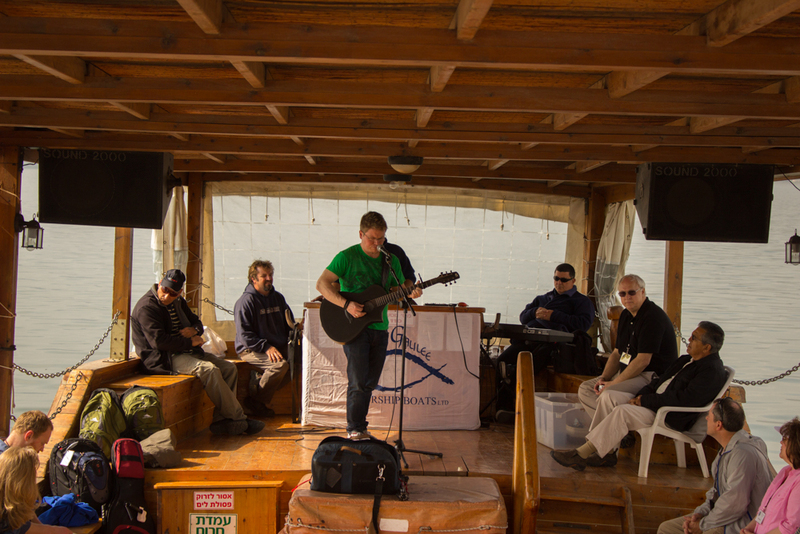 He is both our boat captain and a famous singer/song writer. 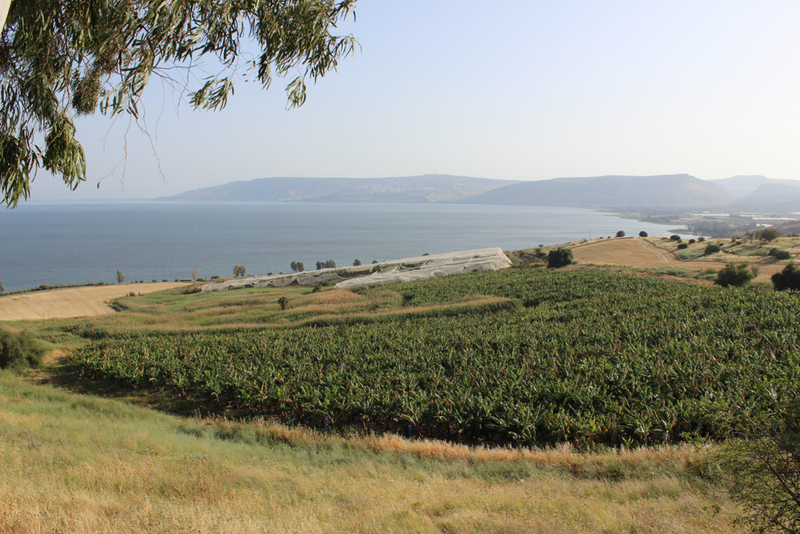 Sailing on the Sea of Galilee doesn’t get much better than this. 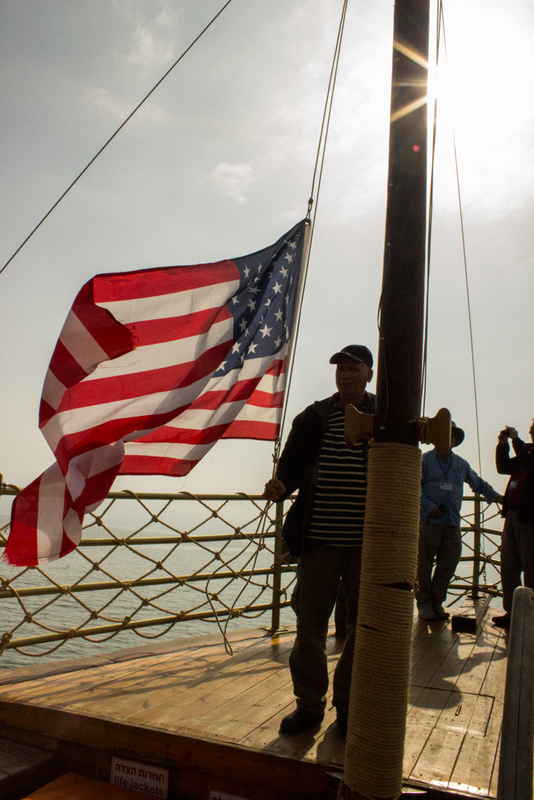 Before we get too far from port the captain raises the American flag under the Israeli flag and plays the national anthem. 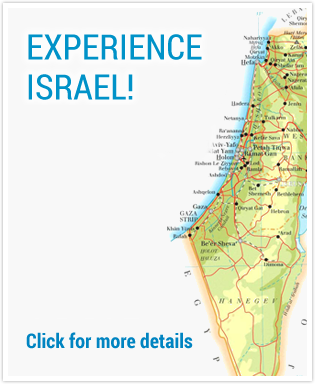 Seeing the two flags together reminds us of our deep connection to this land and its people. 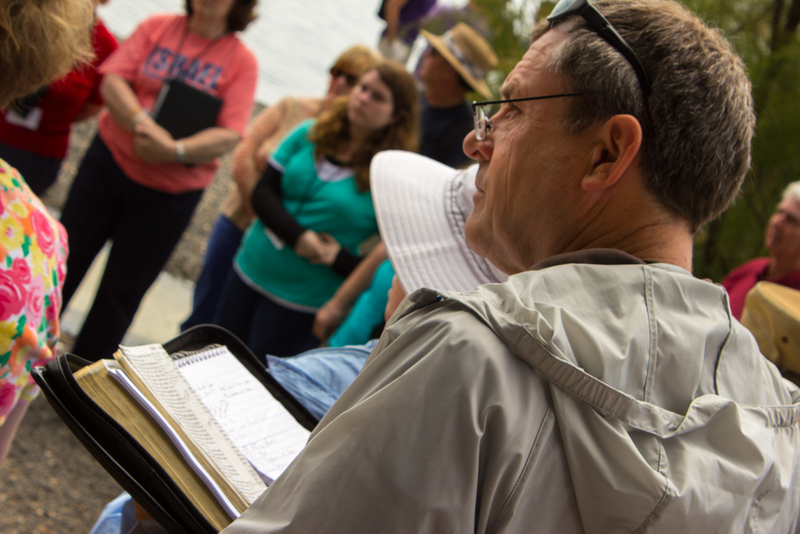 As our boat, named Faith, heads out on the sea, Pastor Ken leads us in prayer and singing praise songs. 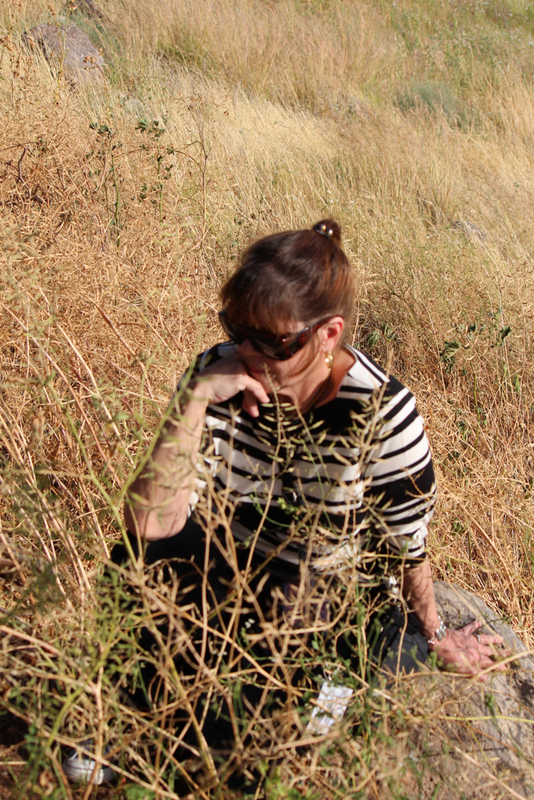 After a while the captain stops the engines and we are adrift as we pause to reflect on our surroundings. 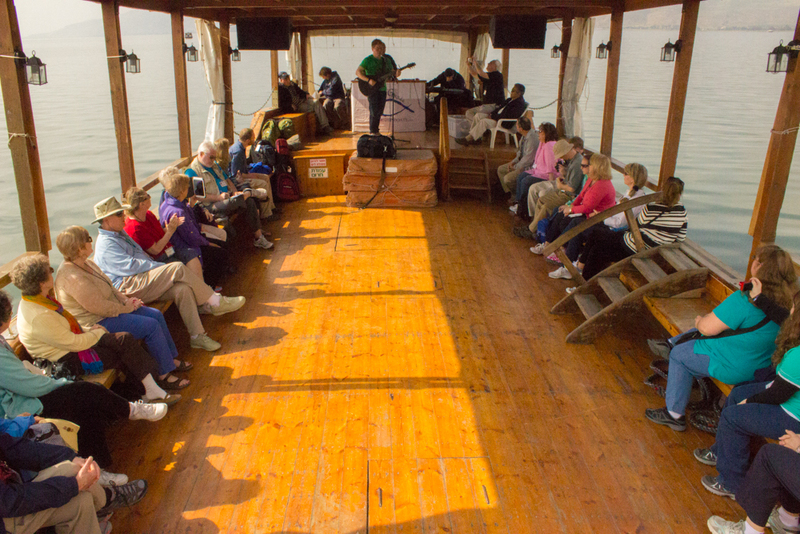 It’s a real worship experience on the Sea of Galilee. 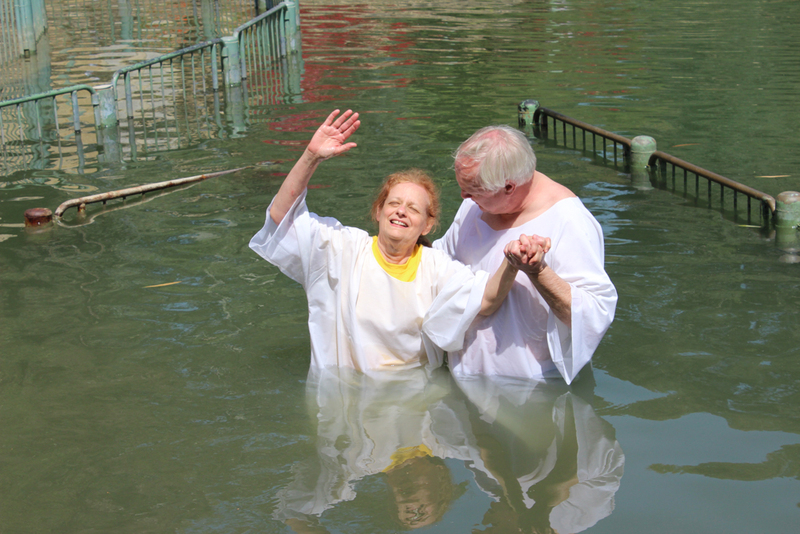 We take a short bus ride to St. Peter’s Primacy located in Tabgha on the northwest shore of the Sea of Galilee. 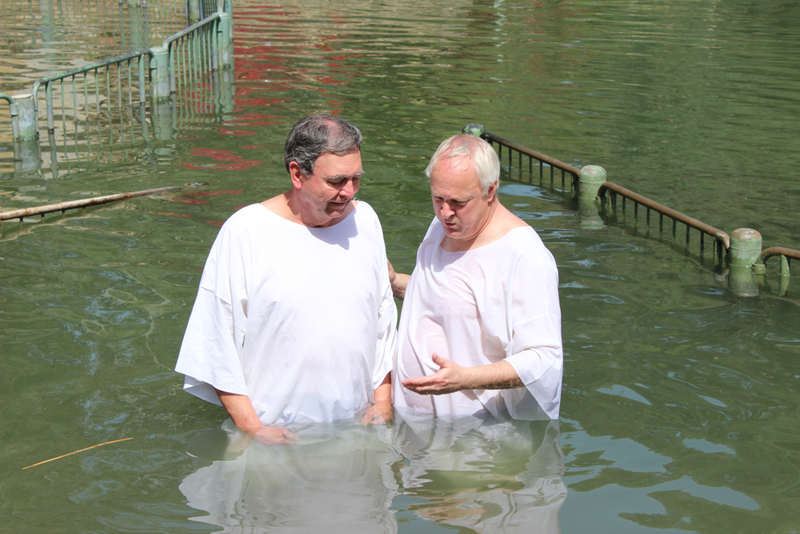 It marks Peter’s encounter with the risen Christ as recorded in John 21:1-19. 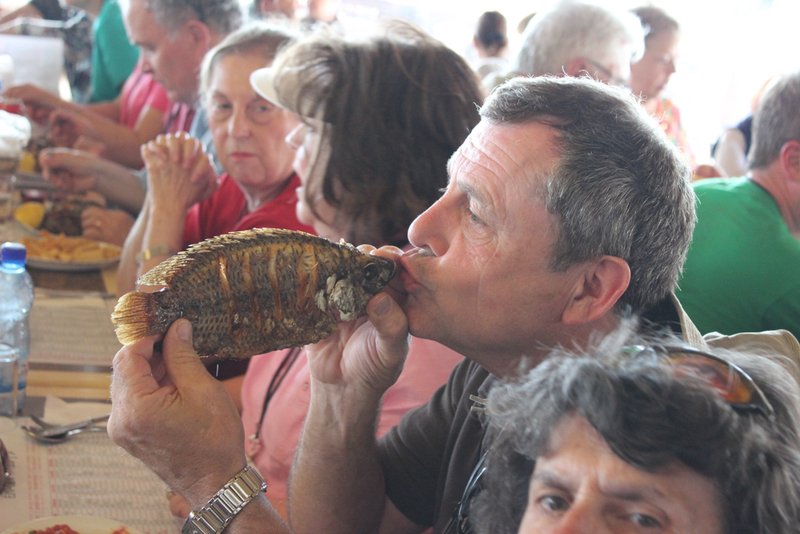 Jesus appeared to his disciples after His resurrection and prepared a breakfast of fish on a charcoal fire (vs 9). 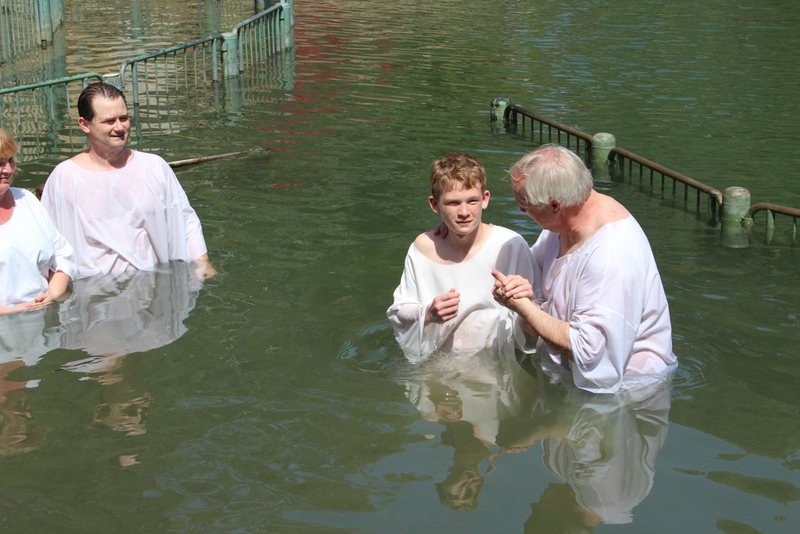 The fire is a symbol reminding Peter of the fire where he warmed himself when he denied Christ three times. 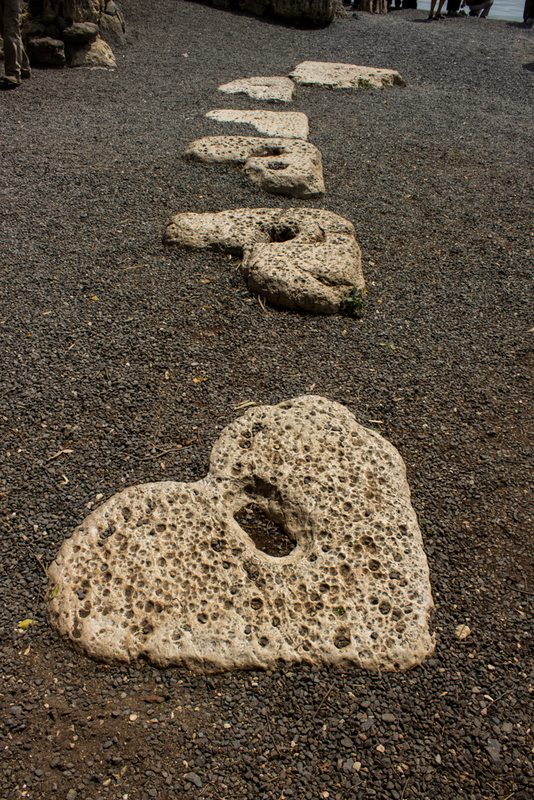 Jesus shows His three-fold restoration of Peter by asking him three times, “Do you love me?” This is a question we must ask of ourselves. 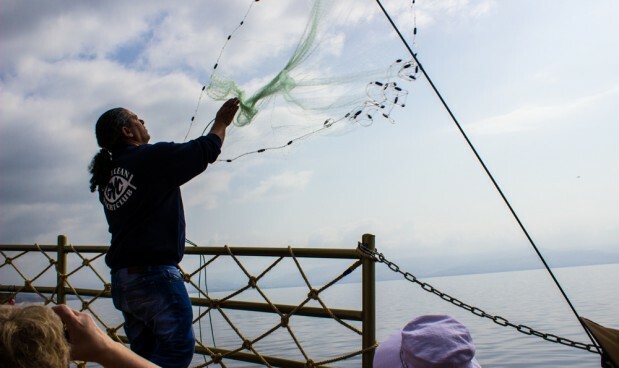 Next we went to Capernaum, Christ’s ministry base in Galilee, a fishing village and home to the sons of Zebedee, James and John, who shared in a fishing company with brothers Simon and Andrew. 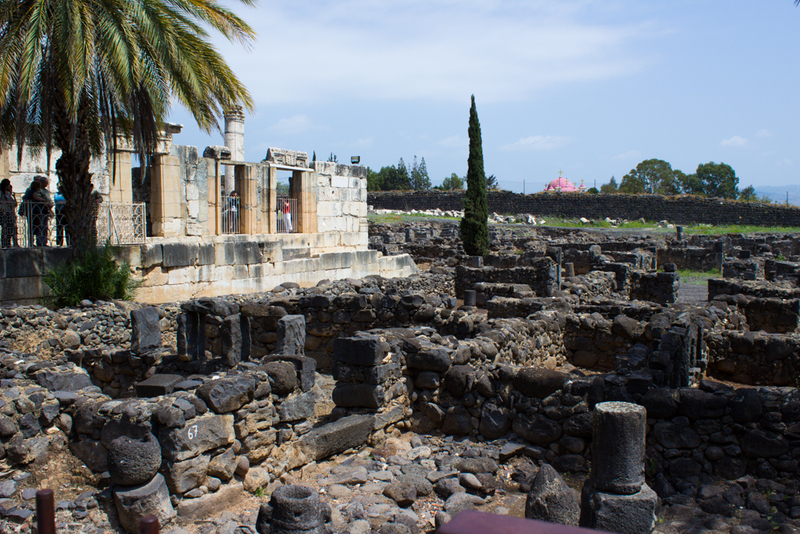 Capernaum was the place of many of the miracles recorded in the gospels. 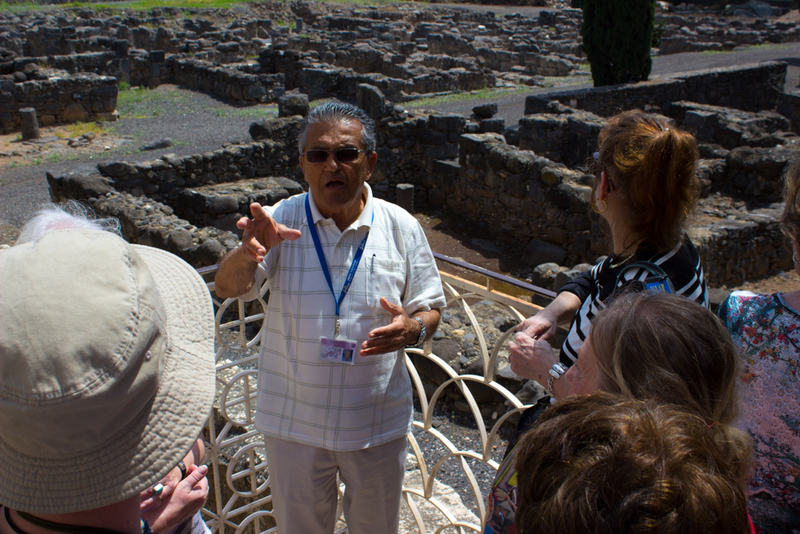 This is also the place that Jesus taught in the synagogue as one who had authority and not merely as those who teach the law given to Moses. 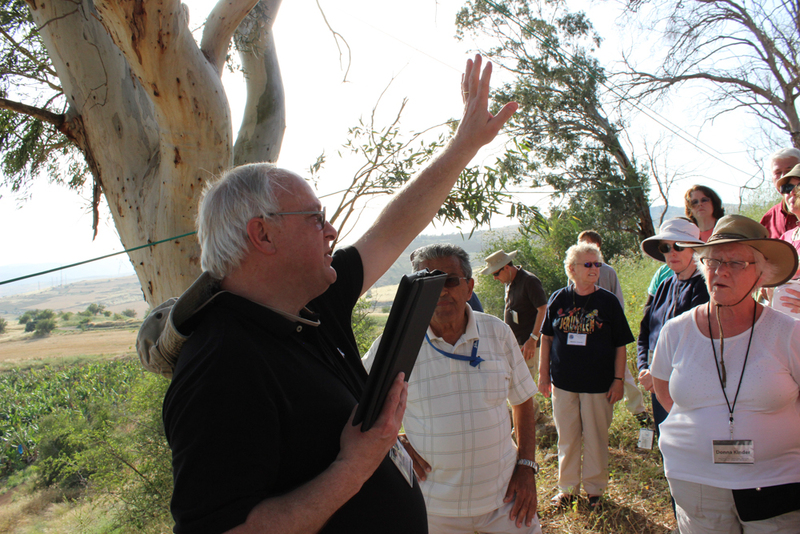 Today there are some significant restorations here that give us an idea of how this village looked at the time of Jesus. 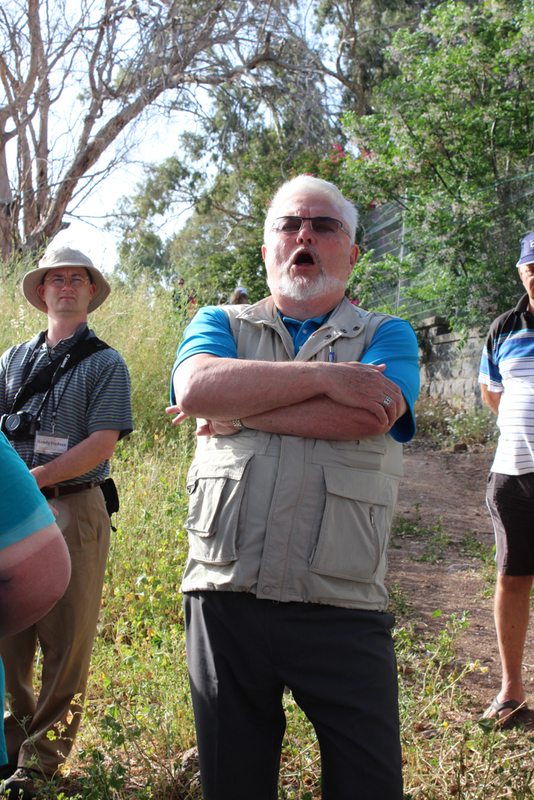 As you look at the ruins, you think about the fact that you are in an authentic spot – “X marks the spot” as our guide likes to say. 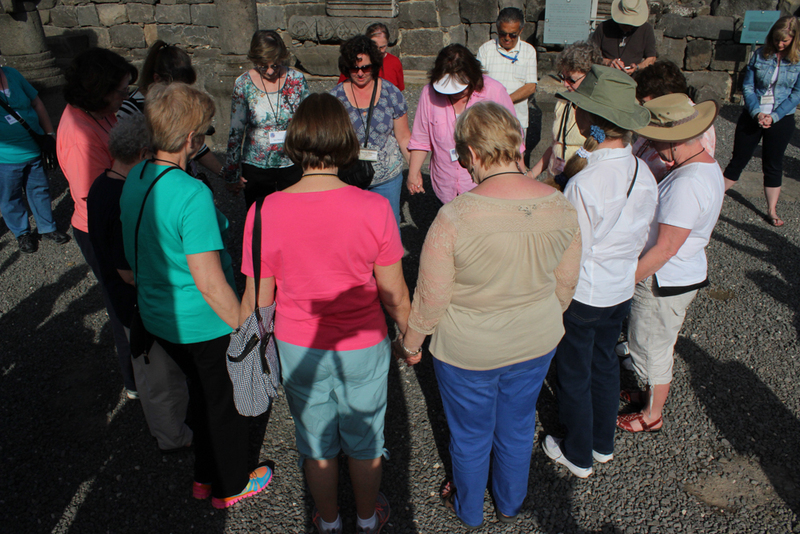 We are really looking at the places where our Savior lived and taught. It’s incredible. 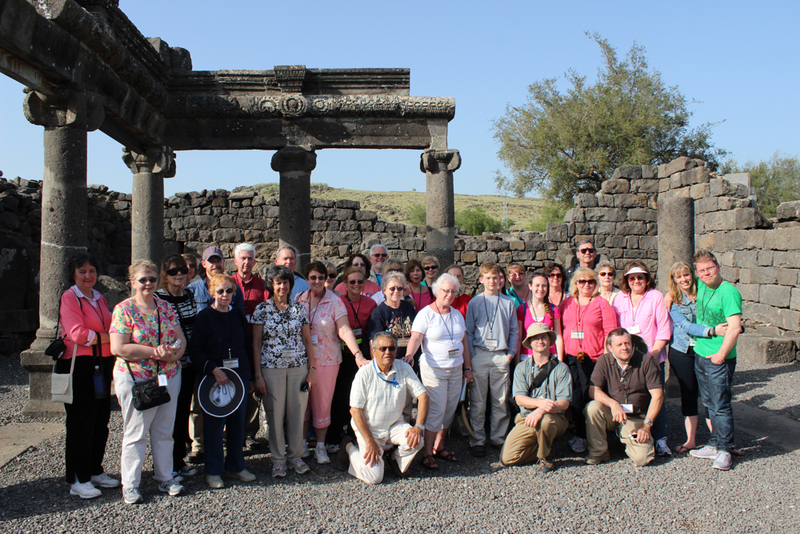 We see the house of Peter and the ancient synagogue. 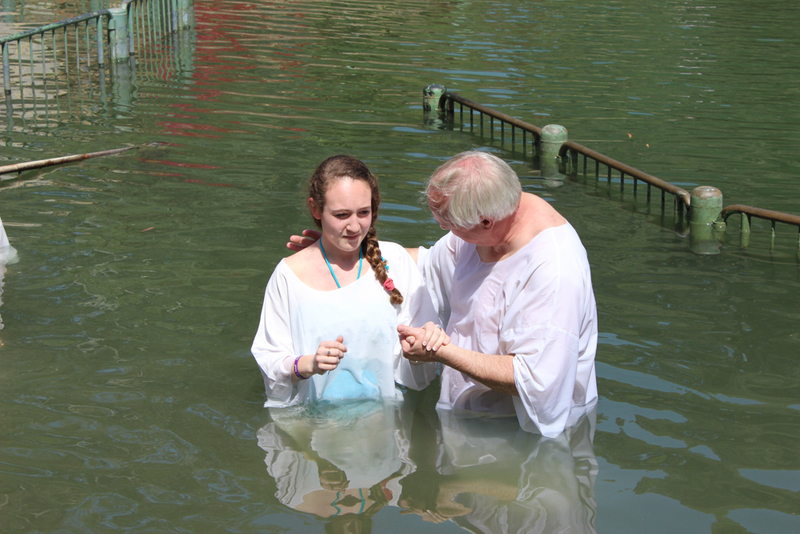 It’s just amazing to be here. 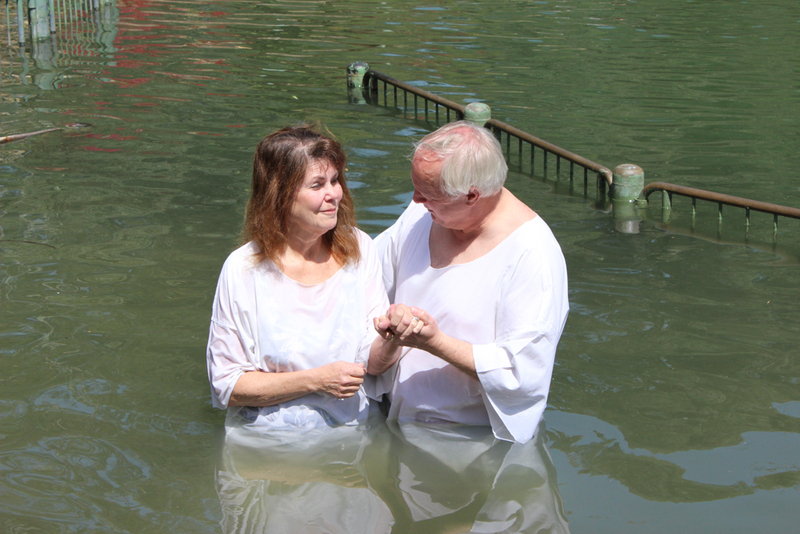 After Capernaum, we traveled to Yardenit, a place of baptism. 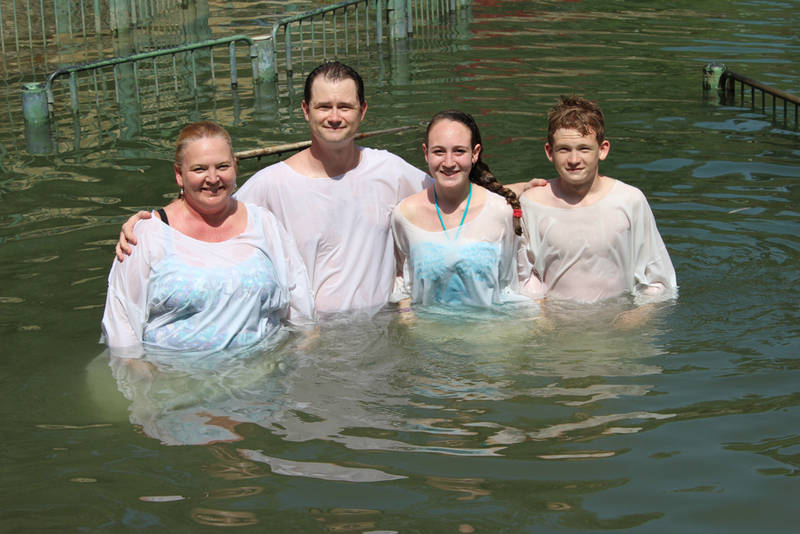 Many who come to Israel want to be baptized in the Jordan River. 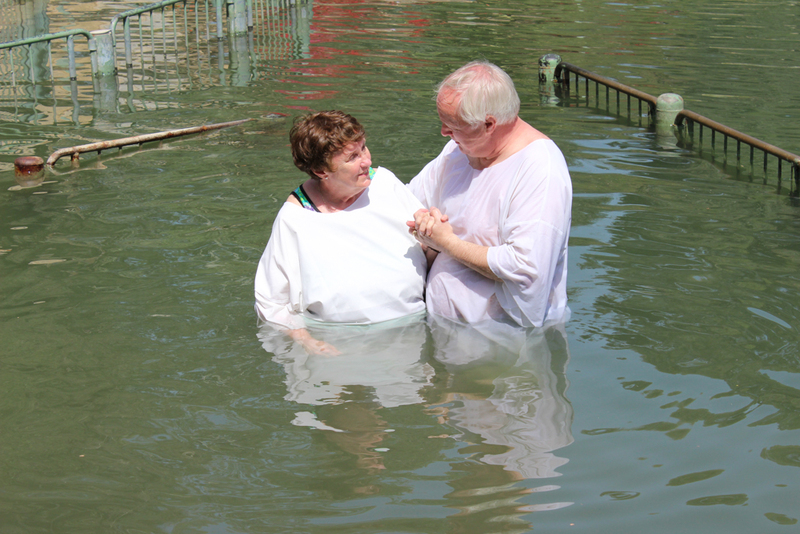 This is not a meaningless exercise; it’s a significant part of the journey for most people. 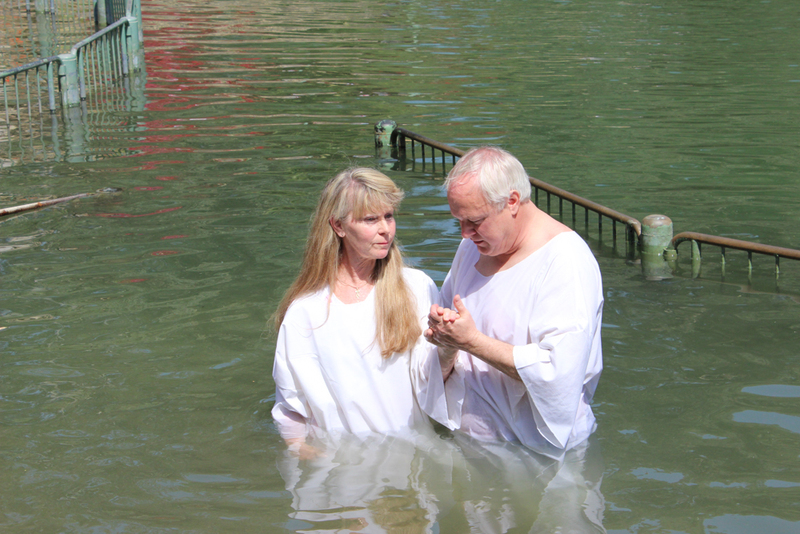 Nearly everyone who enters the water already believes in the redemptive power of Jesus. 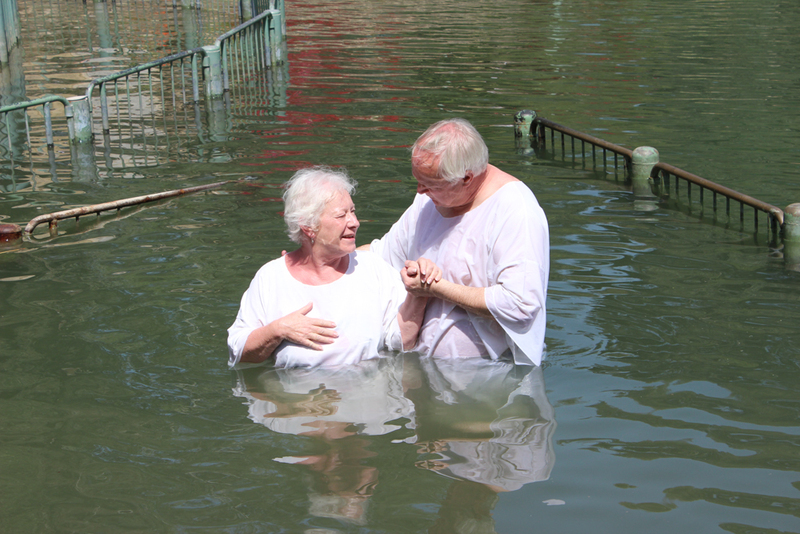 They are by faith already secure in the kingdom of God, however they want to be obedient in baptism. 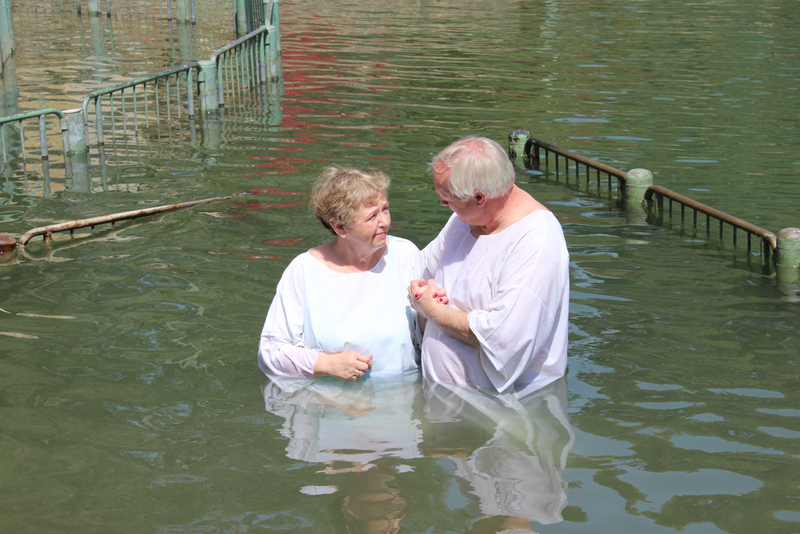 Some were baptized as children before they fully realized the meaning of the life and ministry of Jesus, some were never baptized by immersion, some simply want to reaffirm their commitment to the Lord Jesus Christ. 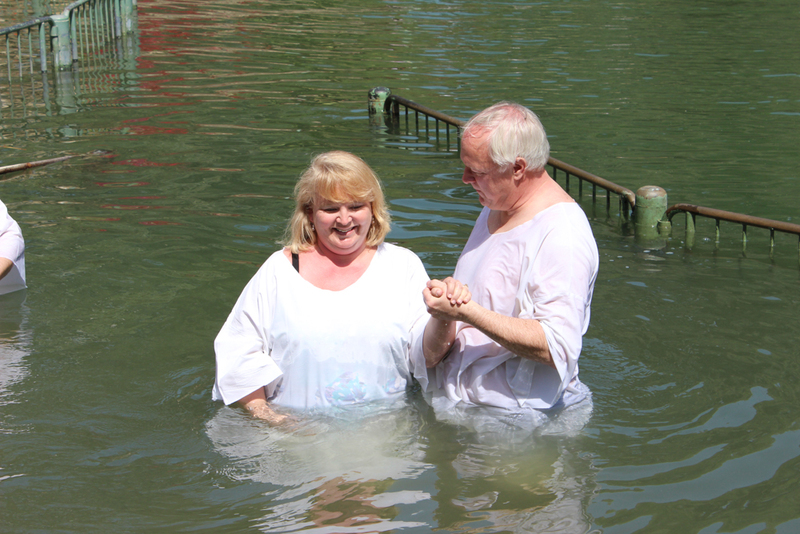 Pastor Mark is always ready and willing to enter the chilly water to immerse those who come to the holy land. 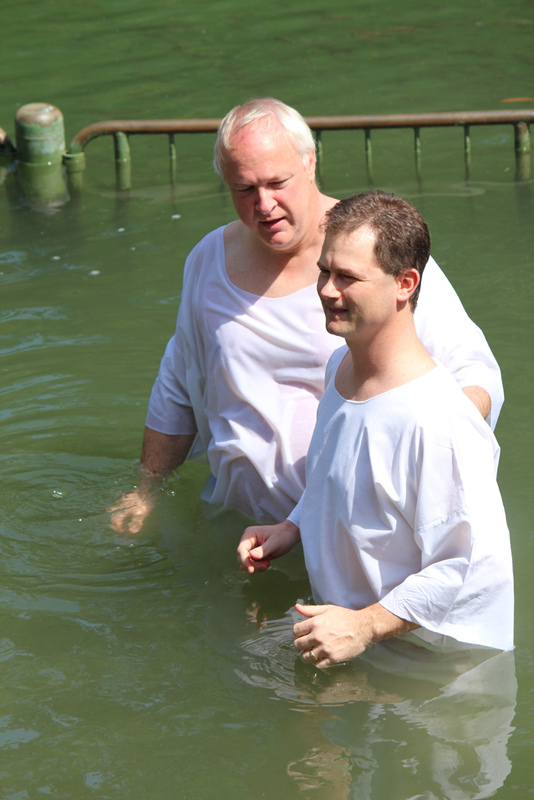 Today – members of our group enter this part of the Jordan River. 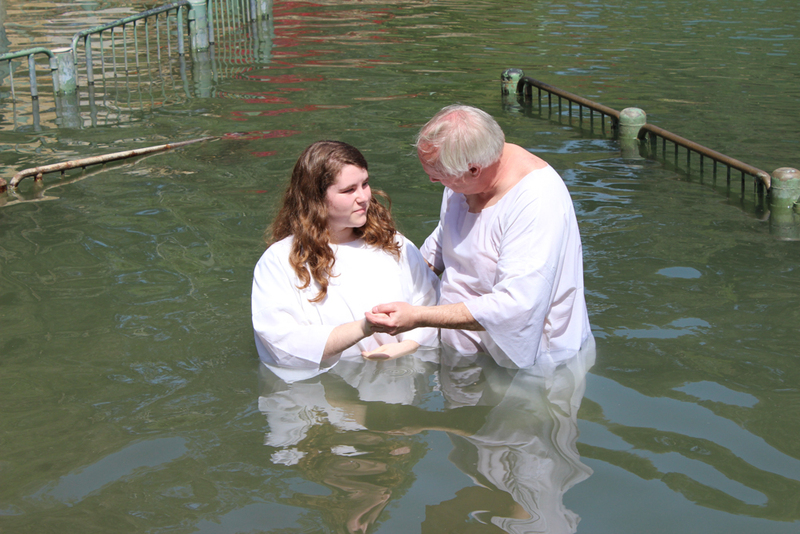 Twelve are being baptized today. 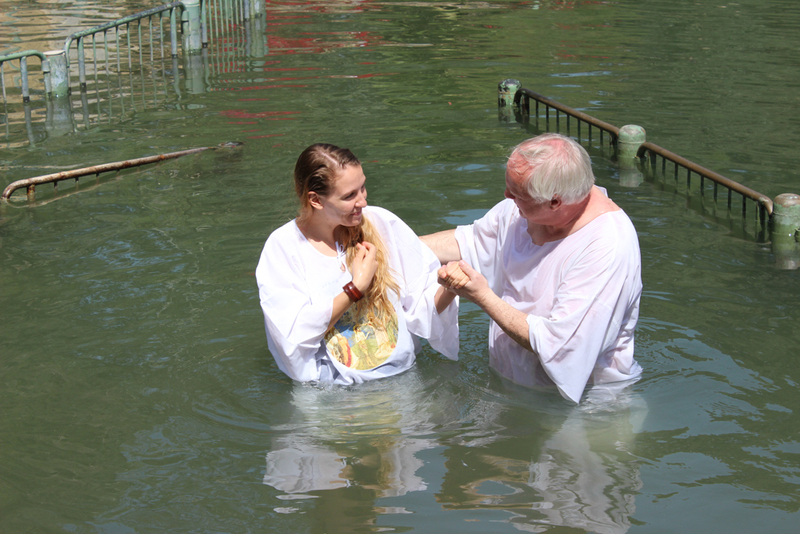 Jessica said of her baptism, “It made me feel like a better person.” She is the third generation to be baptized in the Jordan River. It’s cold, it’s slippery, and you are not alone as you can see some rather large fish from time to time, but it is an experience worthy of the sacrifice. It’s also a chance to say something to the Lord. To say, “I love you, I believe in you, and I want to follow you”. 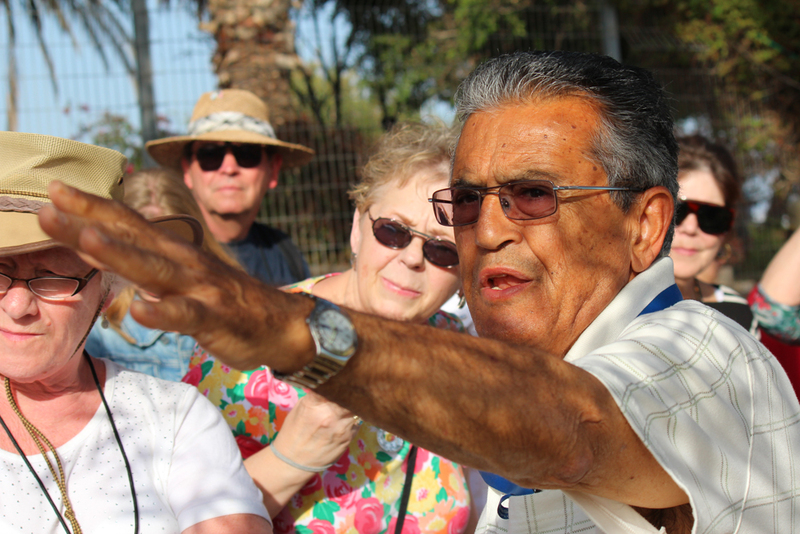 Our guide, Avi, had a special treat for us at Korazim (Chorazim), one of the cities on which Jesus pronounced woes. 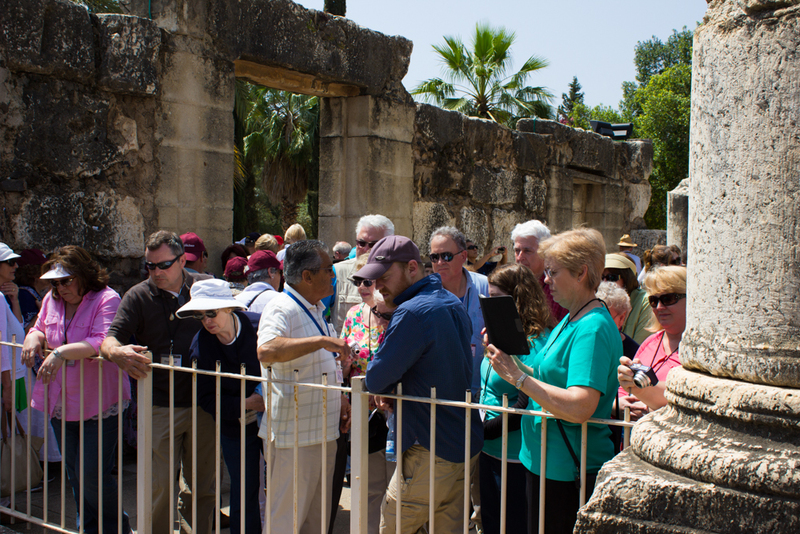 We were able to stand inside the ruins of a first century synagogue. 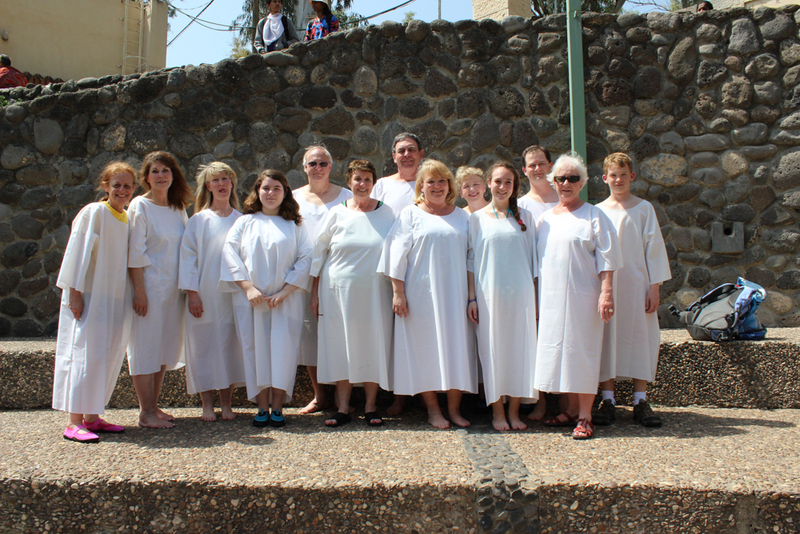 Just think, Jesus may have taught in that very synagogue and we were there! 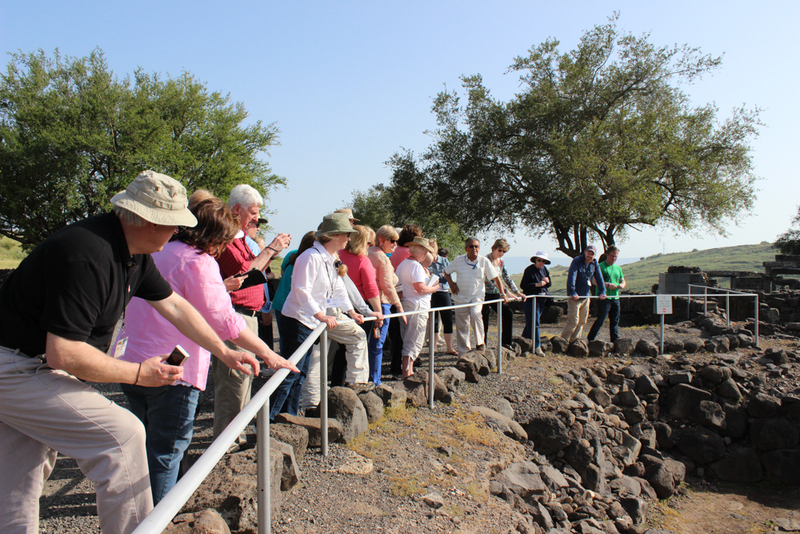 Our last stop of the day is to the traditional site of the famous Sermon on the Mount, called the Mount of Beatitudes. 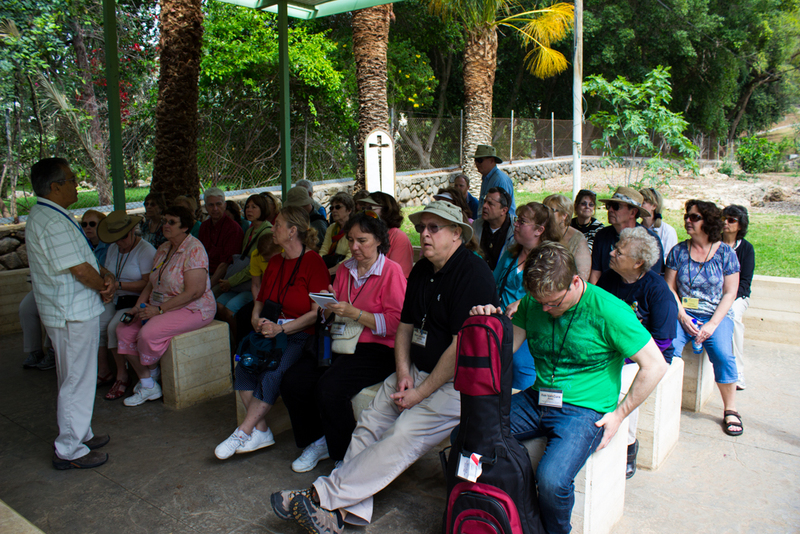 There is an 8-sided chapel here as well as a series of beautiful gardens as a commemoration of what has been called the “beatitudes”, a series of blessings that are recorded in the gospel of Mathew, Chapter 5:3-12.